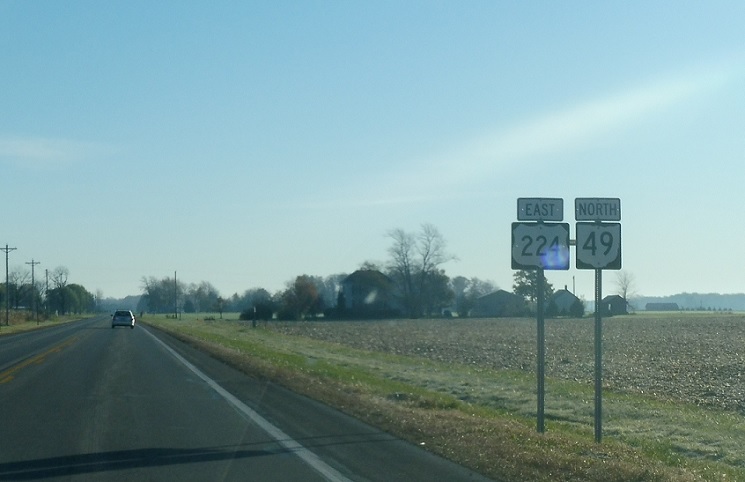 Reassurance shield as 49 joins 224. 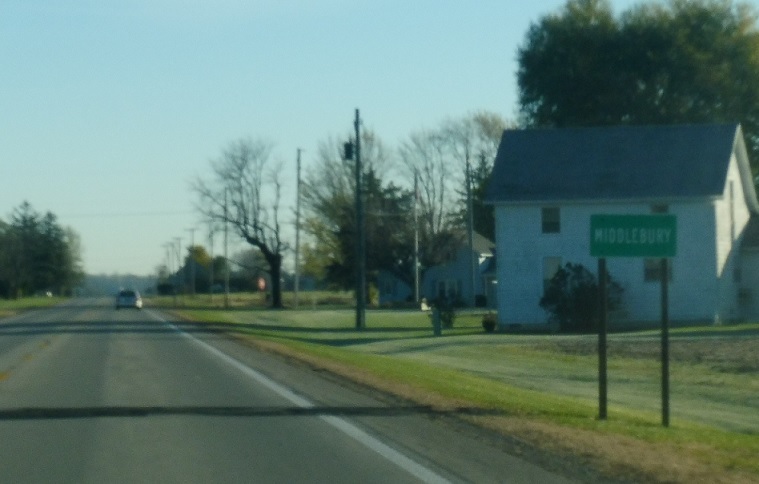 A mile later, we’ll pass through unincorporated Middlebury. Reassurance shield as we head out of Middlebury. 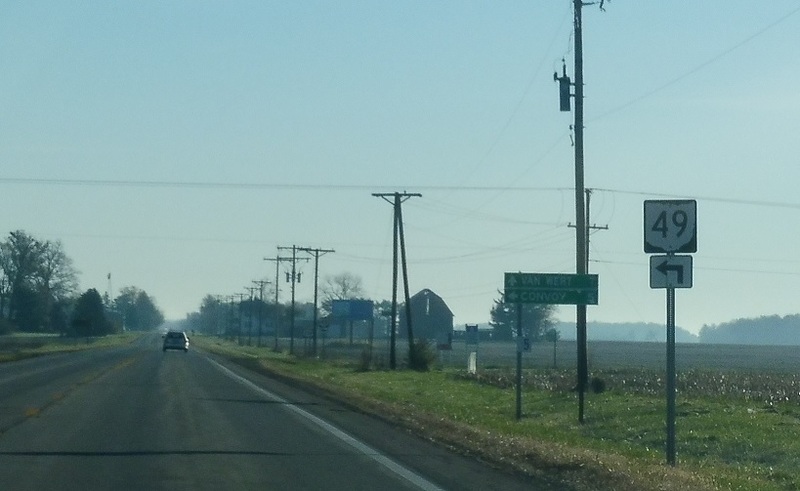 A mile later, SR 49 splits to continue north. 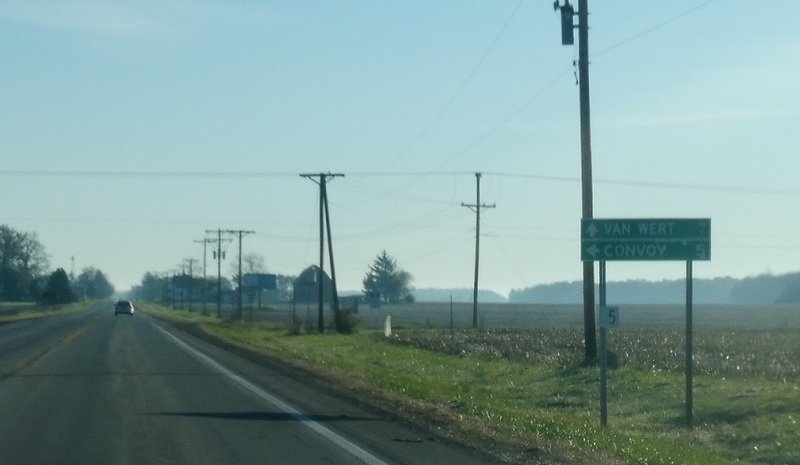 Stay on 224 east for Van Wert. Follow 49 north to Convoy. 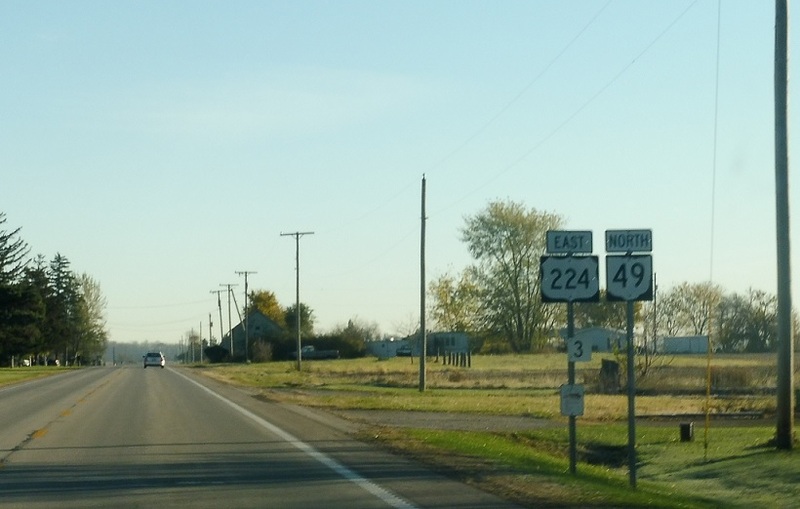 Turn left for SR 49 north.